Special Launch Sale ! For a limited time get Montreal Metro for only 0.79€. Original price 4.99€. 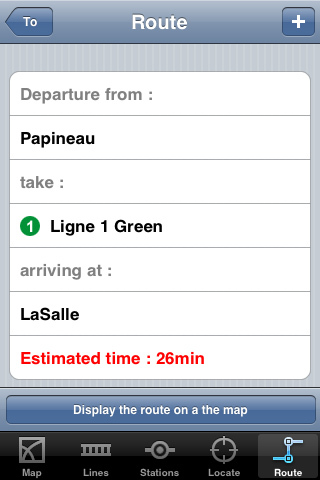 Montreal Metro iPhone and iPod Touch Application is a comprehensive guide to traveling through Montreal Metro. 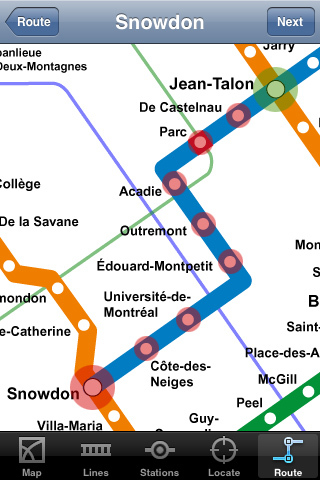 - Map of Montreal Metro. Landscape and portrait modes are available. 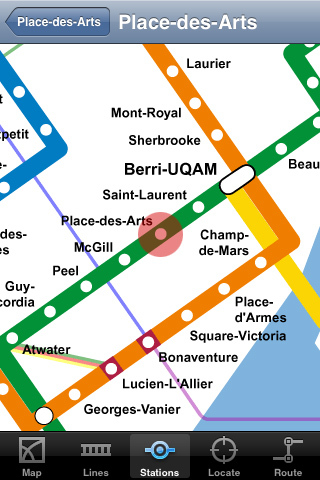 - The trip planner tool allows you to find automatically the best route to get to your destination in Montreal Metro. Travel time is also estimated. 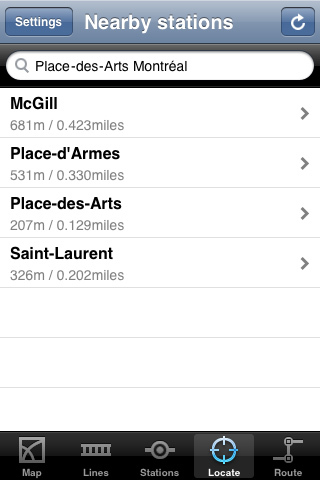 - The application locates the nearest subway stations from your position in Montreal. It is possible to increase or decrease the distance of localization in the settings. 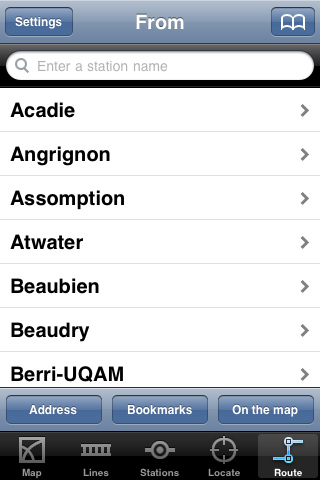 - You can provide an address in Montreal, the application indicates the stations closest to that address.